House Republicans succeeded in scuttling a bill to delay the transition, which is scheduled for Feb. 17, less than two days after the Senate unanimously passed the plan. WASHINGTON — Bucking the Obama administration, House Republicans on Wednesday defeated a bill to postpone the upcoming transition from analog to digital television broadcasting to June 12 — leaving roughly 6.5 million U.S. households unprepared for the switchover. But the battle over a delay may not be over, with some predicting the House will take up the measure again next week. The 258-168 vote failed to clear the two-thirds threshold needed for passage in a victory for GOP members, who warn that postponing the transition from the current Feb. 17 deadline would confuse consumers. House Republicans say a delay also would burden wireless companies and public safety agencies waiting for the spectrum that will be vacated by the switchover, and create added costs for television stations that would have to continue broadcasting both analog and digital signals for four more months. The defeat is a setback for President Barack Obama and Democrats on Capitol Hill, who maintain that the Bush administration bungled efforts to ensure that all consumers — particularly poor, rural and low-income Americans — will be ready for next month's analog shut-off. 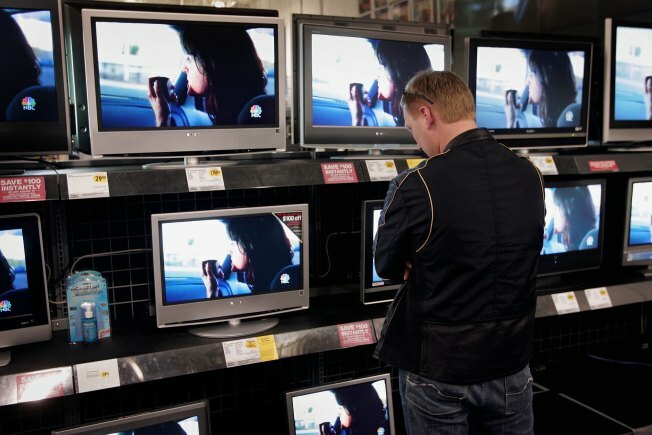 The Nielsen Co. estimates more than 6.5 million U.S. households that rely on analog television sets to pick up over-the-air broadcast signals still are not prepared for the transition. People who subscribe to cable or satellite TV or have a newer TV with a digital tuner will not be affected. But Joe Barton of Texas, the top Republican on the House Commerce Committee, insisted a postponement is not necessary. "We could do nothing worse than to delay this transition date," Barton said. "The bill is a solution looking for a problem that exists mostly in the mind of the Obama administration." Barton led the push to scuttle the bill, which passed the Senate unanimously on Monday night after lawmakers in that chamber struck a bipartisan compromise. Senate Democrats won over Republican support by allowing broadcast stations to make the switch from analog to digital signals sooner than the June deadline if they choose and permitting public safety agencies to take over vacant spectrum promised to them as soon as it becomes available. But those concessions did not placate most Republicans in the House. Only 22 House Republicans voted for the bill, while 155 voted against it. Among House Democrats, 236 voted for the bill and just 13 voted against it. The Obama administration called for the transition date to be postponed after the Commerce Department earlier this month hit a $1.34 billion funding limit for coupons to subsidize digital TV converter boxes for consumers. The coupon program allows consumers to request up to two $40 vouchers per household to help pay for the boxes, which translate digital signals back into analog ones for older TVs. The boxes generally cost between $40 and $80 each and can be purchased without a coupon. Senate Commerce Committee Chairman John D. Rockefeller, D-W.Va., author of the bill, said he was disappointed by the outcome of the House vote. "The outgoing Bush administration grossly mismanaged the digital television transition and consumers are confused, households are not prepared, and the coupon program for converter boxes is broken," Rockefeller said in a statement. The Obama administration had no immediate comment on the House vote. The next step remains unclear. Gene Kimmelman, vice president for federal policy at the Consumers Union, which has been lobbying for a delay, said he hopes House Democrats will bring the bill up again for a regular floor vote, which would only require majority support to pass. Wednesday's vote took place under a special procedure that required two-thirds support for passage. Congress in 2005 required broadcasters to switch from analog to digital signals, which are more efficient, to free up valuable chunks of wireless spectrum to be used for commercial services and interoperable emergency-response networks. The National Telecommunications and Information Administration, the arm of the Commerce Department administering the program, is now sending out new coupons only as older, unredeemed ones reach a 90-day expiration date and free up more money. The NTIA had nearly 2.6 million coupon requests on a waiting list last week and those people will not receive their coupons before Feb. 17. Barton, for one, is pushing legislation to fix the coupon program without delaying next month's transition.